The best inflatable kayaks perform exceptionally well and are perfect for anyone who needs a portable kayak. 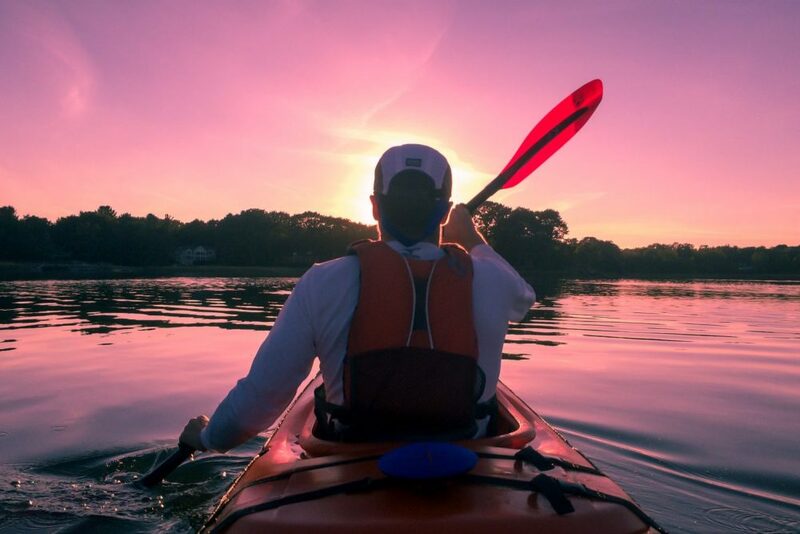 Kayaking is a great way to enjoy nature while still getting a bit of exercise. But if you want to really get into this sport, you’re going to need a great kayak that can go with you anywhere. An inflatable kayak is the best choice for this. They are lightweight and portable, but still durable enough to withstand rough conditions. There are a variety of different types to choose from, depending on what kind of water you prefer to spend your time on. The best inflatable kayak is also versatile enough that you can use it for more than one type of activity, even if fishing is your game. If you are in the market for a new inflatable kayak, we’ve reviewed a number of the best 1, 2, and 3 person kayaks to help you make your decision. 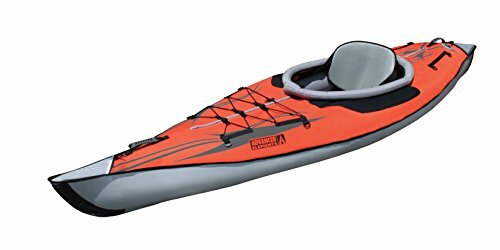 Despite its light weight and portability, this handy inflatable kayak is stable in the water and durable enough to handle the roughest weather. This is due to the inflatable I-beam construction. There are also two skegs on the bottom of the boat to give you more speed and higher tracking. The hull is made from tough PolyKrylar, which can withstand the damage anything you bump in the water may inflict on it. The drain valve is self-bailing, so you never have to worry about your stuff soaking in a pile of water. Even though this Sea Eagle kayak is light enough to carry all by yourself, when it’s inflated there is still enough room for all your necessities, even when bringing enough gear for a weekend camping trip. 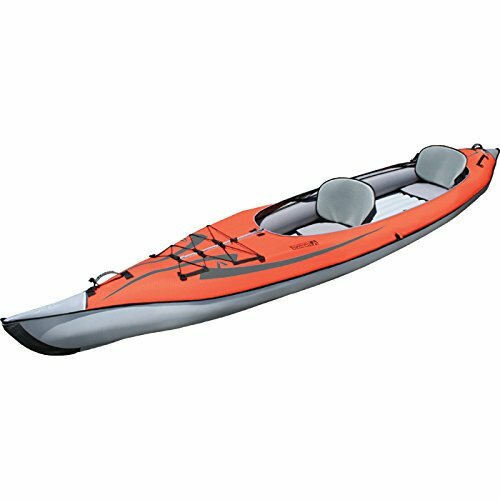 This 2 person kayak also includes 2 carry handles, 5 Deluxe one-way valves, 2 paddles, 2 comfy inflatable seats, a foot pump, a handy carry bag, and a repair kit in case the worst should happen during your trip. 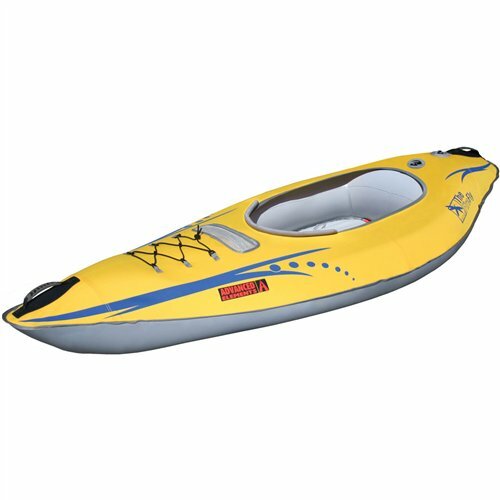 Whether you are enjoying a relaxing trip over calm waters or braving a Class 3 whitewater river, this Sea Eagle inflatable kayak is a great choice. 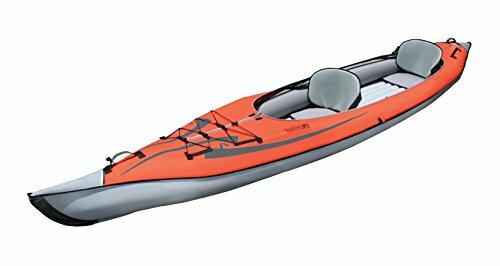 This 2 man inflatable kayak by Advanced Elements is made of extremely durable materials, including the high grade aluminum front and back ribs, and three layers of puncture resistant fabric. 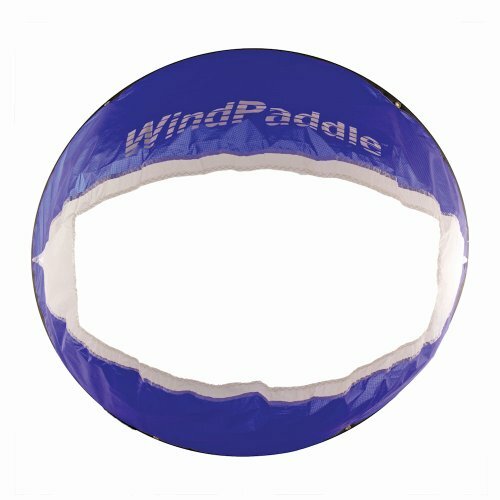 This keeps your inflatable kayak floating no matter what the water throws at you. There are 3 seat locations, giving you the ability to ride with two in the kayak or move one of the padded seats to the middle for a single-person ride. There is plenty of room for gear either way, and the deck lacing makes it easy to find what you need. 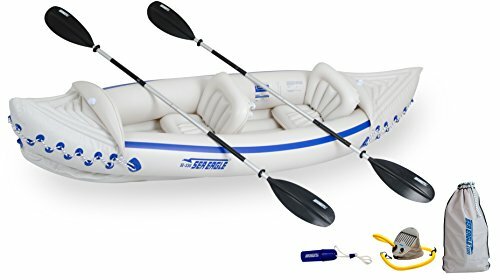 Since this inflatable double kayak comes pre-assembled, all you need to do is unfold it, inflate it, and then put in the seats. There are paddle holders to keep them close at hand. And when it’s time to go home, there is a duffel bag to carry your deflated kayak for added convenience. 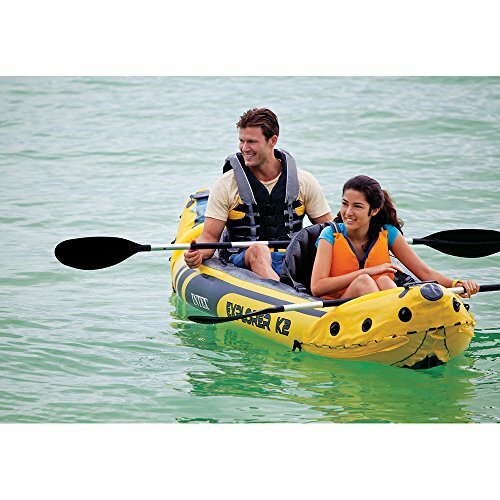 The sporty and fun design of the Intex 2 person inflatable kayak is streamlined to make paddling easy. It also has a bright yellow color covered with cool graphics which ensures you’ll be seen in the water. The lightweight and compact body make it easy to assemble this Intex inflatable kayak, even for beginners, which will make your experience that much more enjoyable. But the rugged vinyl material and inflatable I-beam flooring give you the sturdiness and strength you need to stay afloat. There is a Boston valve on each side for fast inflating and deflating. There are also grab lines and handles on each end of this kayak to make it easy to tie off or carry when needed. Included with the K2 inflatable kayak are 2 long aluminum oars, a high-output pump, and a repair patch kit for emergencies. The best inflatable kayak won’t leave you broke before your next trip. 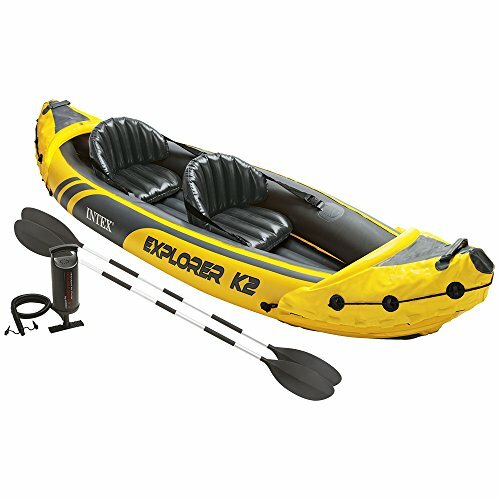 The low price of the Intex Explorer K2 Inflatable Kayak will fit any budget, with money to spare. Even though it only weights 26 lbs, the Sea Eagle 330 Inflatable Kayak can still hold 2 adults comfortably, even with some gear. In fact, it can carry up to 500 lbs of combined weight, so you won’t have to leave anything behind. 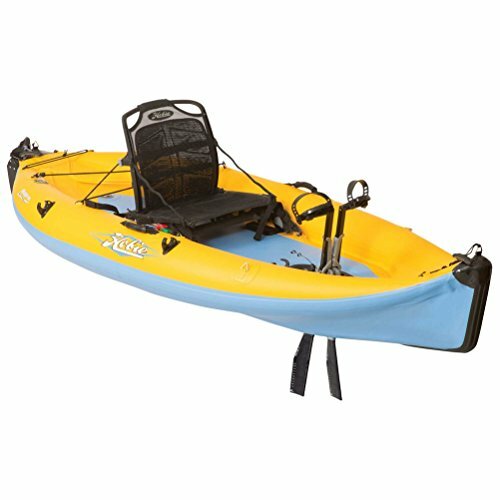 Though it is rated for up to Class 3 whitewater, the 300 still makes a great two person fishing kayak for those who like a bit more tranquility. But if you do try out the rougher waters, there is a self-bailing drain valve to keep you from capsizing under extra water weight. 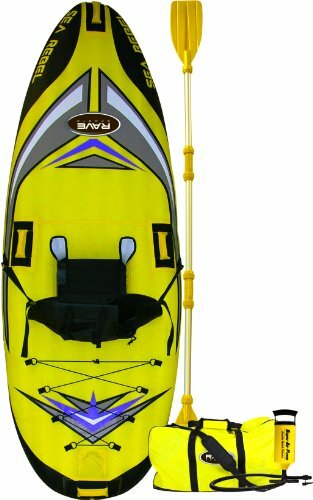 Other features for this two person kayak are dual skegs for speed and tracking, high frequency welded seams, a 33 mil PolyKrylar hull, and durable I-beam construction. It takes only 6 minutes to inflate the kayak with the included foot pump to get you into the water faster. And when you’re ready to call it a day, it packs nicely into its handy storage bag. The best inflatable kayak is lightweight and easy to carry no matter how rugged the terrain to the water is. 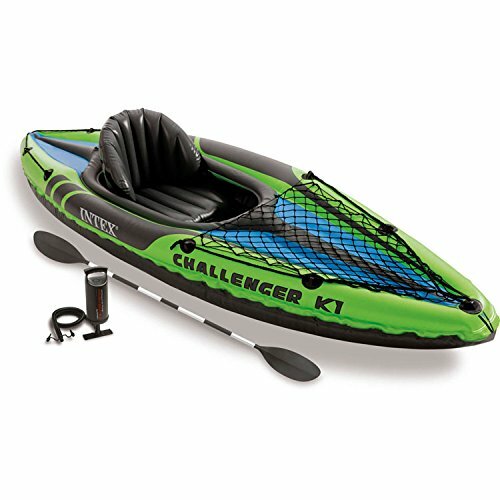 This Intex Challenger K2 Kayak fits the bill, since it is only about 37 lbs when packed up. But despite its compact package, it still has more than enough room to hold 2 people comfortably, even with some gear in the cargo storage net. It is easy to assemble, inflating and deflating in a matter of minutes. The construction ensures durability and stability, due to the rugged vinyl hull, inflatable I-beam floor, the low-profile deck, and the high buoyancy side chambers. There is also a removable skeg for great maneuverability. The inflatable seats are adjustable and have comfy backrests to keep you relaxed while paddling, even for extended periods. There are grab lines at each end of this double kayak for added convenience. 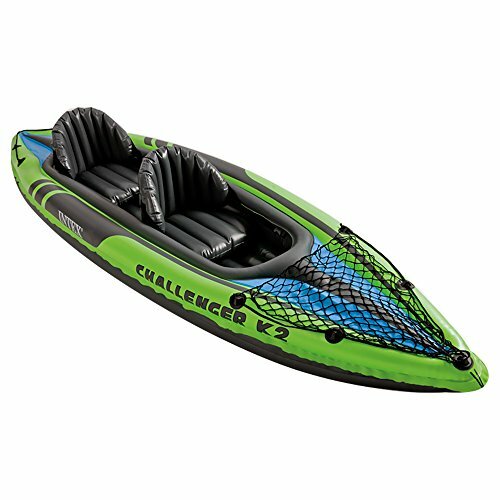 This low-profile inflatable sea kayak is perfect for lakes and mild rivers, with sporty graphics and a bright green color to keep you visible to those nearby. 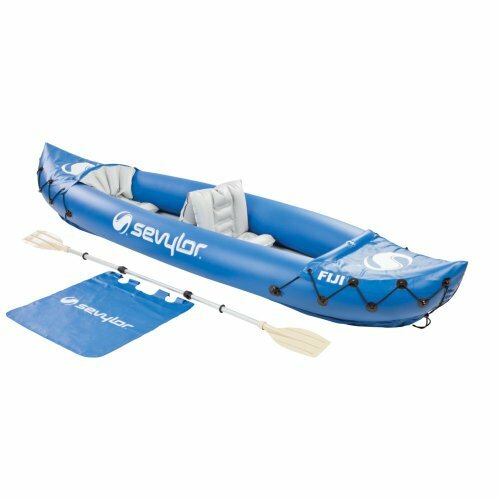 Whether you like the rush of whitewater rafting, the adventure of scouting out hidden paths, or just relaxing with a line in the water, this Sevylor Inflatable Kayak will meet your needs. It has a lightweight design that is easy to carry, whether packed or inflated. But the Sevylor kayak is also durable, thanks to the 22-gauge PVC material with RF welded seams. It will stand up to a variety of temperatures and conditions, and even has an additional Airtight System. This means if the material happens to get snagged, there are multiple chambers to ensure you’ll be able to get to shore. The Double Lock Fast Valve inflates and deflates quickly and easily. The rear seat is fixed for single-person use, or you can add the second removable seat in the middle to make it a 2 person inflatable kayak. 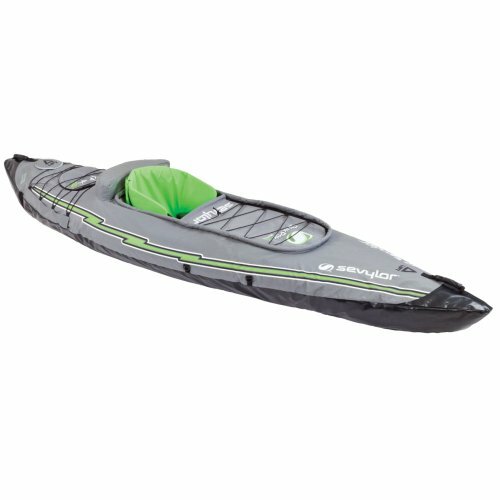 This 1 person inflatable kayak has a bright green color and sporty graphics, but is streamlined for easy paddling for the single occupant. 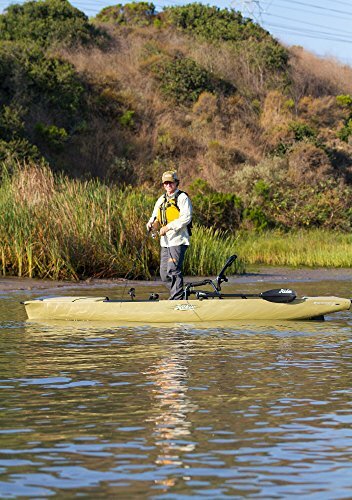 The kayak is easy to assemble when on your own, inflating in minutes using the high-output hand pump. The rugged vinyl material is strong and built for high performance in the water. The combination of the inflatable I-beam floor, the high-buoyancy side chambers, and the low-profile deck give you stability when the water gets rougher, but still provides maximum comfort. To keep your movements precise, there is also a removable skeg. The inflatable seat has a backrest for when you need a break and is also adjustable for the right amount of space for your legs. The cargo net at the front and the grab lines at each end add to the convenience. Since it has a weight capacity of 220 lbs, even larger individuals will fit comfortably in Intex Challenger K1. 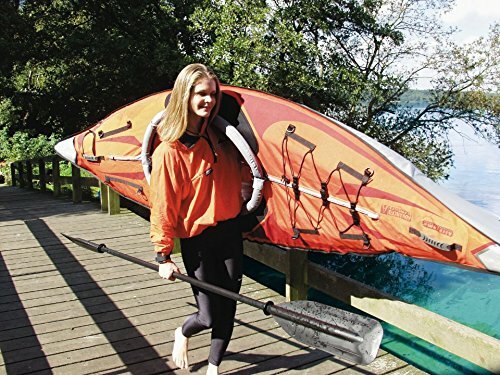 This 1 person Advanced Elements kayak combines a folding frame with an inflatable body. It uses built-in aluminum ribs in both the stern and the bow to cut through the water with ease. The stern also acts as a skeg for better tracking and speed. The 3-layer construction adds durability to the material for decreased risk of snags or tears. When it comes time to set it up, all you need to do is unfold the package, inflate it, and then attach the supportive, padded seat. If you have some gear to bring along, there is plenty of storage space in the compartment and in the bungee deck. There are also molded rubber handles, an advanced elements spring valve, and an integrated pressure relief valve located on the floor. The repair kit keeps you afloat in an emergency, and when it’s time to head back home, the duffel bag holds everything for easy travel. If you’re after one of the best inflatable kayaks on the market, look no further than the Advanced Elements AdvancedFrame Kayak. When you decide to go fishing, you need the best inflatable kayak that gives you the room you need to maneuver that pole when you get a tug on your line. The Hobie Mirage i9S meets this need, with its high sitting seat and a large amount of storage space for your tackle. The integrated twist and stow rudder is within easy reach and works for both left or right handed people. There is also a sail mount in case you want to take advantage of the breeze while keeping your hands free to hold that pole. The pedal drive also keeps you moving faster than with a paddle, getting you to where the fish are biting before they disappear. If you want to move slower through the water, there is an aluminum four-piece paddle included. When it comes time to pull the inflatable fishing kayak out of the water, the carrying handles make short work of it. The rolling travel bag that comes with the Hobie kayak keeps everything together for easy storage. When you are ready to head out to the water, the best inflatable kayak can travel with you easily and set up fast. This Sevylor Coleman QuikPak K5 inflatable kayak packs easily in its included backpack and has a super quick 5-minute setup. It has definitely earned its QuikPak name. But there is more to this single person kayak than its compact size. It uses high-quality materials for the bottom and covers to withstand any rigorous adventures. If you happen to get snagged, there are multiple air chambers to keep you above the water until you can reach the shore and repair it. The spray covers keep any splashing water from soaking you down. There are secure storage areas to keep your belongings safe, which are all tied down with bungees for added security. If you need to do a bit of portaging, there are carry handles that make the trip easier. 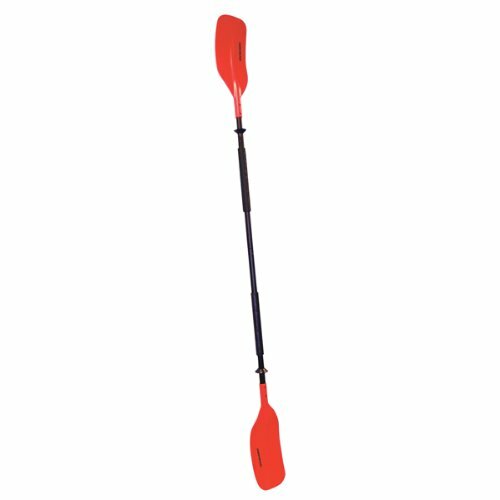 The hand pump and paddle are both included with this Coleman kayak for added convenience. 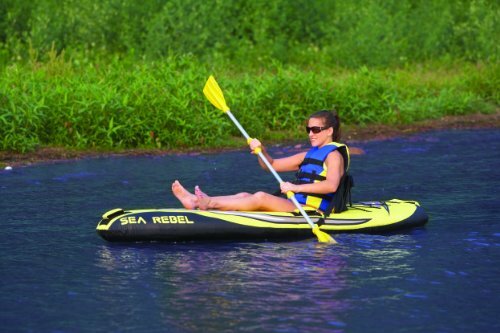 The Rave Sea Rebel Inflatable Sea Kayak is the perfect model for those who like a leisurely trip across the lake, or down a relaxed river or stream. 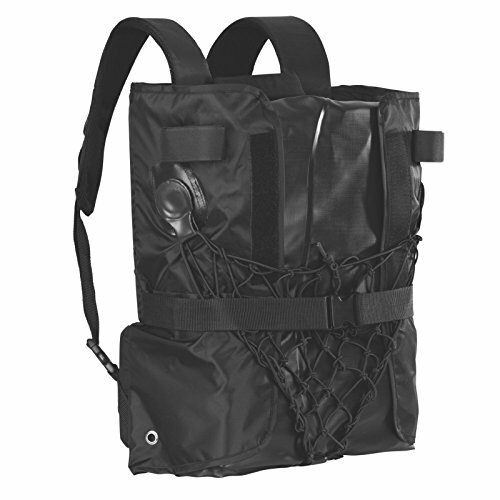 It is lightweight, making it a breeze for one person to carry and use. But despite the easy use, it uses heavy-duty materials to keep it afloat. These include a nylon cover, a tarpaulin bottom, and a thick PVC bladder. Together these prevent punctures while allowing you to move smoothly through the water. On the back of the recumbent-style sling seat is a water resistant dry bag to hold your smaller essentials, as well as a net bottle holder to keep you hydrated on your trip. Bungee cords on the back are perfect for your larger gear. 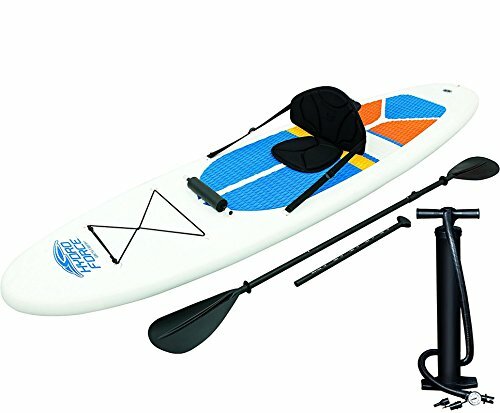 The hand pump, carry bag, and paddle complete this single person inflatable kayak set. At only 16 lbs, the Advanced Elements FireFly may just be the lightest inflatable kayak there is. Its compact size makes it easy to carry when traveling, and also ensures it won’t take up too much space when storing it during the colder months. But size isn’t everything. That’s why this Advanced Elements inflatable kayak also has the features to keep it in the running for the best inflatable kayak available. It uses Twistlok and Spring valves to make inflation and deflation simple. 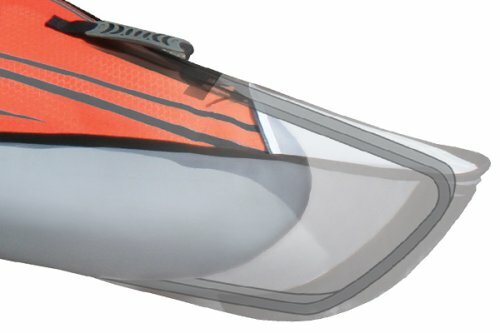 There are built-in rigid panels that combine with a tracking fin for improved performance in the water. The durable materials over the whole kayak keep tears and snags to a minimum. 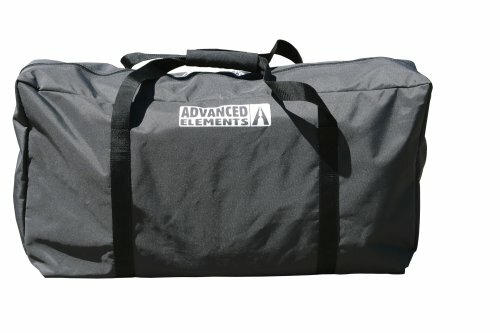 Additional features include bungee deck lacing, a mesh pocket for gear, rubber molded handles, a duffel bag for easy carrying, and a repair kit for emergencies. If you prefer a group adventure to a lone one, you need the best inflatable kayak that can hold a couple of your close friends or family members. 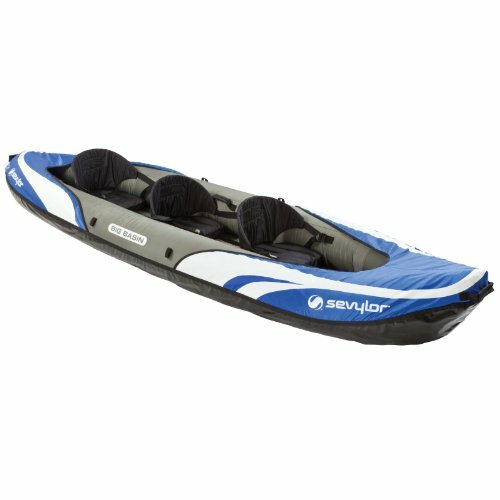 The Sevylor inflatable 3 person kayak can meet these needs, with its adjustable seats to fit everyone comfortably. To keep you and your companions safe, this kayak uses heavy-duty PVC to resist snags. The rugged tarpaulin bottom also resists tears, even if dragged over rougher surfaces. It also keeps you moving easily through calm or rough water. If you do happen to snag your inflatable boat, the multiple air chambers keep you above the water until you reach the safety of the shore. The Boston Valve is double threaded to make inflation and deflation even easier. The downside of the Sevylor Big Basin 3-Person Kayak is that it doesn’t include a pump or paddle, though a pressure gauge and carry bag come with it. But the missing items are easy to find. This combination SUP and kayak is great for beginners just learning the craft or for experts who like to change it up now and then. It is made of durable materials for stability and strength. The nonslip traction pad keeps you on your feet no matter how wet you get. There are three modeled fins for quick maneuvering in any direction. An elastic bungee cord at the front of the board holds tight to your belongings. The seat gives you a bit of comfort when you need a break, or can detach if you prefer to spend your time standing while you paddle your way through the water. 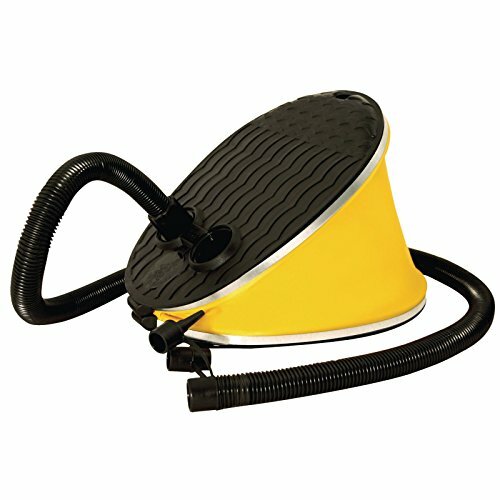 The quick inflation and deflation valve makes it easy to use the included pump. There are also a few other inflatable kayak accessories that come with this SUP, including an aluminum oar, a repair kit, a pressure gauge, a surf leash, and a travel bag. You’ll have everything you need with the best inflatable kayak and SUP combo. The main reason to get your own inflatable kayak is accessibility. When you want to head down to the water, you don’t have to worry about finding a rental place or shelling out your hard-earned money every time you want to go kayaking. When you have your own, you can just go whenever you want. Another reason to get one is to ensure you have the right type of kayak for the area you plan on using it. They are lightweight and pack easily, so unlike a hard-shell kayak, they can be stored in a small space without getting in your way. If repairs are necessary, they are easy to do, even for beginners. And you can do it in the comfort of your own home. But the best reason to get one is that you don’t need to spend a fortune to find a good one that will last you for years. The best inflatable kayak has many advantages that make having one worthwhile. When deflated, they are the size of a duffel bag, so you can tuck them in a cupboard or on a shelf when not in use. Carrying them is also a breeze, even by yourself. This also makes it easy to travel with them since you can put them in the trunk or on a seat when driving out to your chosen location. And as long as it is secured in your vehicle, you won’t have to worry about it getting stolen. You can use your lightweight inflatable kayak anywhere, even when traveling by air. Its compact size makes it easy to check with your other baggage. Since all you need to do with most models is unpack them, inflate them, and attach the seats, they are easy enough for even beginners. 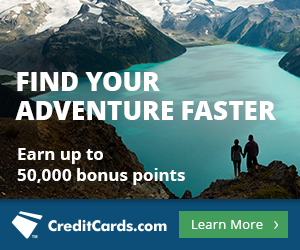 You can use them for anything, from fishing to whitewater rafting. Best of all, they won’t get dinged or scratched at any point, though they may tear. But repair is a breeze, and most times a simple rinse is enough to clean them off before you pack it away. Though traditional kayaks used wood, the modern ones have replaced this material with either plastic or fiberglass. The plastic is heavier, and though it resists damage, if they do get dinged, they cost quite a bit to repair. Fiberglass is lighter in weight but comes with a higher price tag. Either way, these kayaks are great for their purpose but are not very good when it comes time to travel. You need to have a trailer or be able to attach them to the roof of your vehicle. Inflatable kayaks are portable and weigh very little. They cost less than the hard-shell kayaks and are versatile enough to use anywhere. The inflatable models are also durable, so repairs are a rarity. Sit on top kayaks are the most comfortable kayaks when paddling through calmer water. There is not an enclosed cockpit to squeeze into, so you pretty much have to sit right on top of the kayak. This can be more comfortable for some people since you don’t get cramps from the rigid little hole. 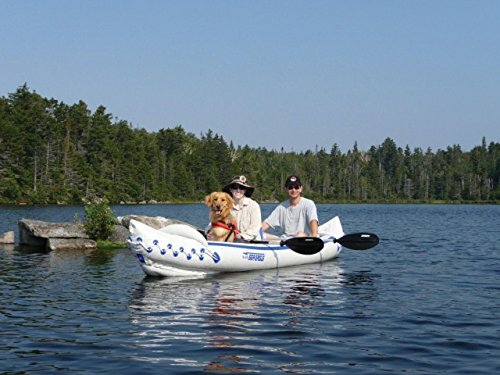 A sit on top inflatable kayak still uses a full-size seat with a back rest for added comfort. This allows you to relax while you’re paddling without straining your back. You’re also able to move and shift your legs as much as needed to avoid sore and cramped muscles. 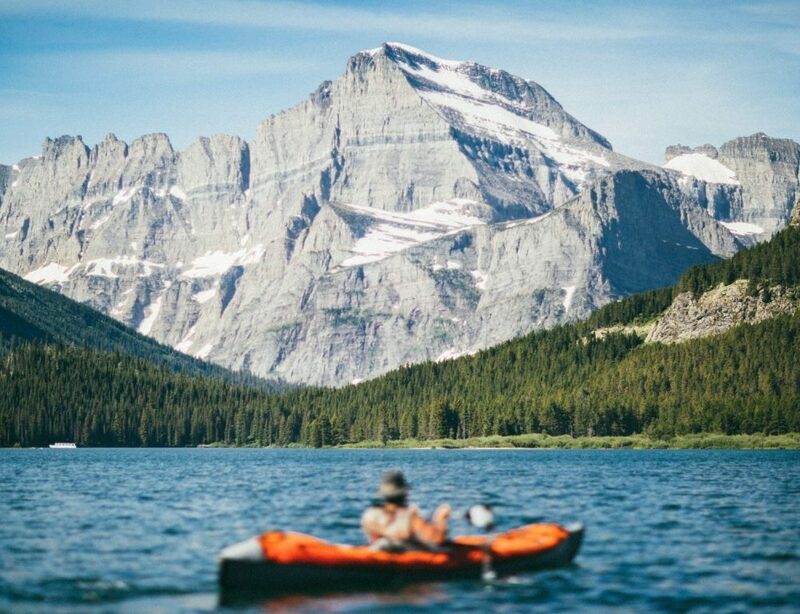 When you think of kayaking, this is probably the type that comes to mind. It uses the cockpit inside the kayak, which allows you to slide in with your legs stretched out in front of you, probably underneath the cover. They can be a bit tighter than the sit-on-top kayaks since it doesn’t give you the freedom of movement the open front allows for. But in rougher waters, the design is safer, holding you inside while the kayak bounces around in the waves. You’ll also stay a bit dryer in the sit in kayak since the cover protects you from any splashing water or rain. This type of kayak is similar to the hard-shell models since they all have holes or ports on the bottom of the hull. These are there to drain any water that happens to enter your kayak.This prevents the kayak from filling up with water. Too much and you could capsize, and without the drains, you’d have to waste your time bailing out your kayak. This prevents the kayak from filling up with water. Too much and you could capsize, and without the drains, you’d have to waste your time bailing out your kayak. If you plan on doing any whitewater rafting, having a self-bailing inflatable kayak is essential. The splashing water around you will soak you in no time, but there is no sense in carrying it with you for your entire trip. The canoe type of kayak looks just like a canoe, which is why it is named for them. They have a wider design than the other models. The walls are also higher, with deeper seats in the middle. The benefit of this design is that it gives you ample room to move around while paddling, and makes a great kayak for fishing. The additional space also gives you more room to carry a cooler full of food and drinks, your fishing tackle, or any other equipment you may need. Canoe kayaks can also support one or two extra people for a group adventure. This type of kayak isn’t a true kayak. Instead, they are a combination of a kayak and a standup paddle board. They are rigid, making it easy for you to stand up on the board and paddle. But they also have a seat or some other type of hardware that allows you to sit down and have a rest now and then in total comfort. They are extremely durable, even the inflatable ones. The beauty of these hybrid kayaks is that they are more versatile than any other type. They can be used for fishing, surfing, racing, or for a great workout. You can even race with them if the mood strikes you. 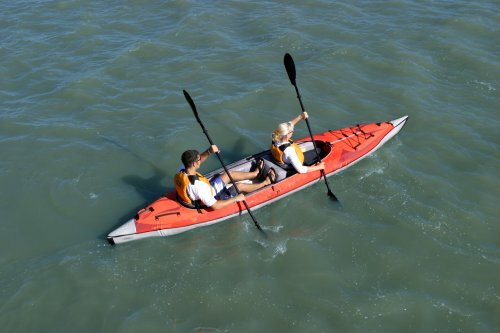 Sea kayaks are designed for use in the open water, such as a lake or the ocean. They can also be referred to as touring kayaks since they are great for long stretches out on the water. 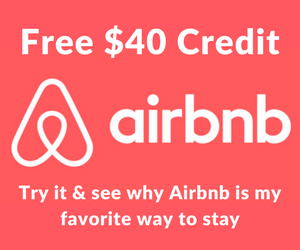 You can use them for shorter afternoon trips to new areas, or you can take them on an extended tour that lasts several days. The shape of the best sea kayak is low and narrow. This allows the kayak to track in a straight line more efficiently than a wider model. It also makes it easier to slip through any wind with less resistance. 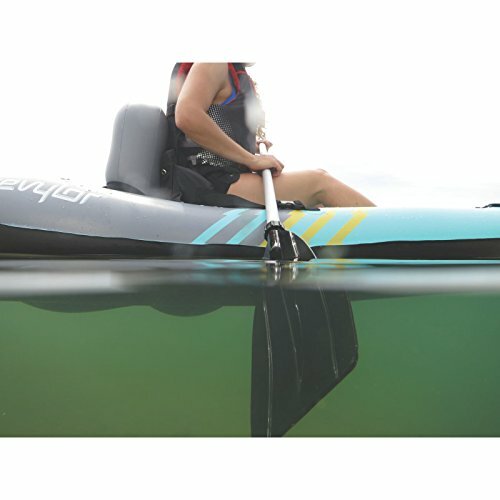 The lower deck of a sea kayak also makes it simple for you to brace your knees inside the cockpit for easier paddling and more control when the water gets a bit rough. There really aren’t any true fishing kayaks out there. Instead, there are regular kayaks that come with a few alterations to support the sport of fishing. When trying to find the best fishing kayak, pay attention to the features and possible accessories that will support your gear. Features to look for are a wide frame, durable material, overall stability, decent seating, and lots of storage. A fishing kayak should be able to maneuver well and support your movements when you’re reeling in your catch. Some accessories you may want could include paddle and rod holders, thigh hooks, foot pegs, and some fasteners and straps to keep your gear secure. The best inflatable kayak for whitewater is shorter in length and slimmer for a more snug fit. They are designed for use in rivers, creeks, rapids, waterfalls, and the ocean surf. Basically, if the water moves fast, these are the kayaks you need. 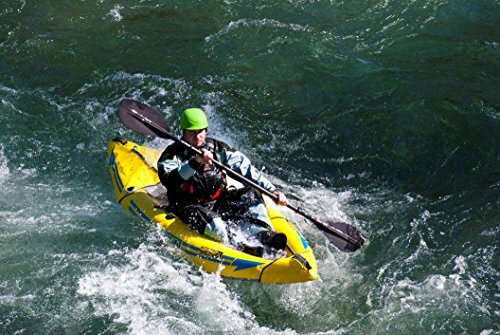 The kayaks for whitewater can range from 4 to 10 feet in length. The bottom is more rounded and turns up at the ends. This makes it easier to navigate rapids and other rough water conditions. There are four general types of white water kayaks to choose from, including river running, creeking, playboating, and surf kayaking. Make sure when you are choosing your boat you have the proper one for the activity you have in mind. When you are choosing the best inflatable kayak, you need to decide where you plan on using it before you shell out any money. This is because there are a number of different types of kayaks available, and different features for the areas they are meant for. For instance, if you plan on using yours for the open water of a lake or ocean, then you need the lower, narrower sea kayak rather than a wide fishing one. The same goes for whitewater use. A wide fishing kayak wouldn’t work very well in such fast moving water. You also need to decide if you’ll be riding alone most of the time, or if you plan on kayaking with someone else. There are kayaks available to support up to three people, but if traveling alone, these would be far too long for one person to handle. When you plan to head out kayaking all by yourself, a solo kayak may seem like a great idea. 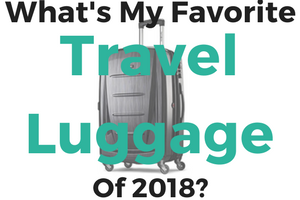 They usually have decent weight capacities that will support you, but keep in mind this may not cover any extra gear you may need to bring along. Having a tandem kayak may be a better option for a few reasons. The first is the extra room you have to carry everything you need. There is also the fact that it will have double the weight limit of a one person inflatable kayak. Many of them have one fixed seat and one removable seat. This gives you the option of taking the extra out when you don’t need it or adding it in when you decide to bring a friend along on your adventures. There are even 3 person inflatable kayak options available, for those times when the whole family wants to spend the day together. If you’re going to spend the afternoon on the water, you better have the best inflatable kayak there is in terms of comfort. When reading the specs on a possible choice, make sure to keep your own dimensions in mind. If you are quite tall, a shorter kayak may not give you the room you need to stretch out those long legs. This will result in cramping and end your trip early. You also need to make sure there is enough room for any equipment you need to take with you. You don’t want to be crowded, or this may interfere with your paddling. Back issues are also something to consider. If you need extra support, a proper folding seat may be a better option than an inflatable one. It will keep you sitting upright instead of slouching, which may be better for you back muscles. When it comes to the best inflatable kayaks, there are 3 types of materials that are most common. The first is PVC. This is used to coat nylon or polyester for added strength and resistance to tears. It is quite cheap, very durable, and if it happens to rip, patching it is quick and easy. But PVC can be damaged from high temperatures, UV rays, and chemicals. Hypalon is another exterior coating, but it is much more expensive than PVC. The upside to the higher price is the fact that it is resistant to UV rays and other environmental factors than all other materials available. Nitrylon is more eco-friendly than the PVC, which is why many manufacturers have chosen it as a replacement. It is also much more durable and puncture-resistant. The only flaw is that it is heavier. The size of your inflated kayak shouldn’t just favor your size and weight, though you need to be comfortable. You also need to consider the size of it in relation to how it will handle once you get it in the water. Shorter kayaks are always going to maneuver better than the longer models. For recreational use or whitewater rafting, this is essential to make it easier to handle those quick turns and bouncing waves. But longer kayaks move faster when heading in a straight line, so if traveling long distances, this could save you some energy. The wider your kayak is, the more stability it will have. This is better for calm waters but slows the kayak down. Deeper kayaks are also slower but can give you more room for yourself and your gear to fit comfortably. If you’re just touring around for a few hours, storage may not be an issue. But if you are using the best inflatable kayak for a weekend away from home, you may need some room for your backpack stocked with essentials, plus a small tent and other camping gear. The same goes for fishing trips. If you’re going to be out on the lake all day, you’ll have your rod, tackle box, plus a cooler filled with food and drinks to keep trips back to shore to a minimum. The beauty of the best inflatable kayak is that they are small, lightweight, and easy to carry for most people. For weight, the lightest models available can be as little as 16 lbs. But on average, an inflatable kayak usually comes in at about 30 lbs. This makes it easy to carry them over short distances, though you probably wouldn’t want to hike for miles to the water with these in your arms. As for size, most of these types of kayaks fold down small to fit into a duffel bag or backpack. They can be easily tucked into the trunk of a car or put in the backseat when traveling, rather than requiring a whole trailer to get them where you’re going. 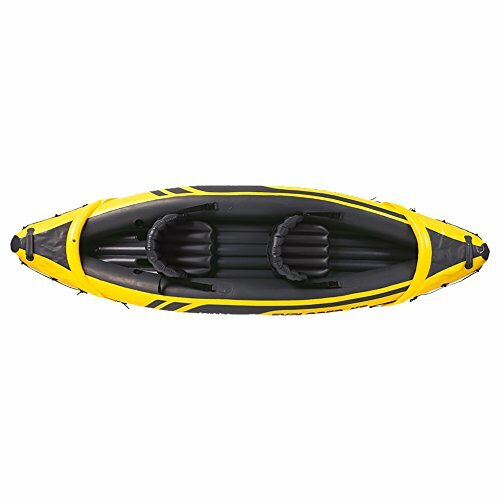 Most of the inflatable kayaks on the market come in bright colors, like yellow, green, light blue, or red. This is a necessity when out in the water since it will keep you visible to the other people boating around you. But having a brightly colored kayak will also make you easier to find in an emergency situation. If you are out in a storm and need to be found, those looking for you will spot a bright kayak easily in the rough water. This is also essential if you get stranded somewhere with a torn boat that needs repairs. Keeping it close to the water or out in the open will give those searching for your grounded boat a bright beacon to find you with. 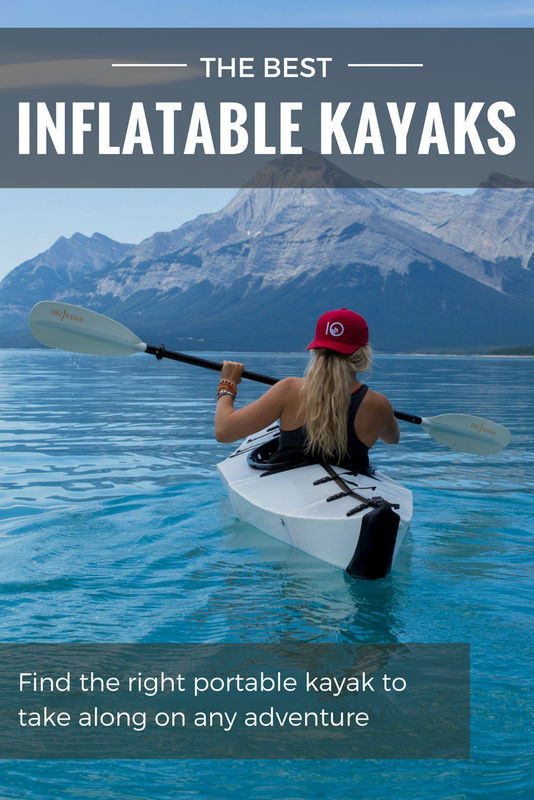 The ease of use is one of the best reasons to get an inflatable kayak. Most of them come fully assembled, and the ones that don’t take very little effort to put the pieces together. Then all you need to do is inflate them. If you have access to electricity, this can be done in a couple minutes using an electric pump. But even if you’re out in the wild it won’t take much longer to fill one up. Many of these kayaks even come with a hand or foot pump that can fit right in the bag, so it is always with you wherever you go. Then it just takes a bit of muscle, and a few extra minutes to get your kayak ready to put in the water. One other feature to look for in an inflatable kayak is a rudder system. These usually come with foot pedals that you can use to propel the kayak forward rather than using the paddles. Some models have rudders that can be used by either lefties or righties. 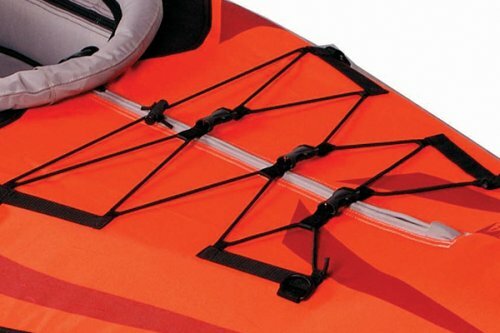 A sail mount is also something that can be used with some kayaks. If you prefer to relax and let the wind propel you, this may be an interesting option. But these are usually sold separately, so you’ll have to spend a bit extra to get one. When it comes to top inflatable kayaks, you don’t have to go outside of your budget for one that will last for years. If you need a good cheap kayak, you’ll be able to find one for less than $100. Of course, these will be lacking some of the features you’ll find in the higher end kayaks. That’s why you should find one in the $200 to $600 range. If you want all the bells and whistles or are buying larger two or three person kayaks, be ready to spend the extra money. They can go well into the thousands if you want the top of the line. If you do plan to get an inflatable kayak, be sure to consider a few of these accessories. Though they are not always necessary, they can come in handy more often than expected. Without a paddle, you won’t be going anywhere, or at least not in the direction you may want to go. There are cheap paddles available, but it is better to find a decent carbon fiber paddle. These are lighter and easier to swing around in the water. Make sure you buy the right length, though, since a paddle that is too long will be harder for you to use comfortably. The best way to size your paddle is to hold it vertically with one end on the ground. Then reach up to the top of the paddle. If your fingers can comfortably wrap around the top end, you have the right paddle for your size. If your kayak happens to flip over, holding onto your paddle may not be a concern until you get your boat righted and climb back inside. The same goes for catching fish. Your hands will be busy with your rod and net, and if your paddle goes overboard, it may be too far to reach long before you realize it’s gone. That’s what makes having a paddle leash so important. It won’t interfere with your movements, so you’ll barely notice it’s there until that paddle falls into the water. 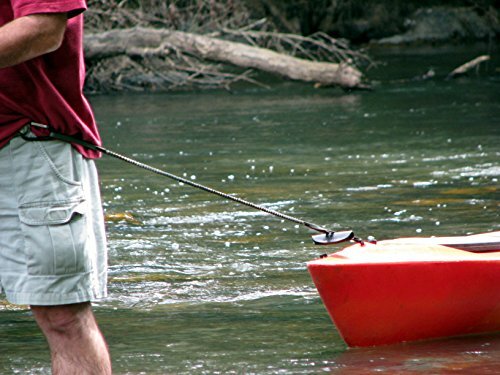 Best of all, a paddle leash costs a fraction of what a new paddle would cost. In the long run, it’s well worth its small price tag. An electric pump is a great tool to fill up your inflatable kayak fast with very little effort on your part. The downside is that you may not have access to electricity when standing next to the river you plan on paddling down. A foot or hand pump takes more energy for you to use. It also takes extra time to fill up since it is you doing the pumping. But these pumps have the convenience of working anywhere you are without the hassle of a cord. Since many kayaks come with either a hand or foot pump, you may not even have to buy one separately. 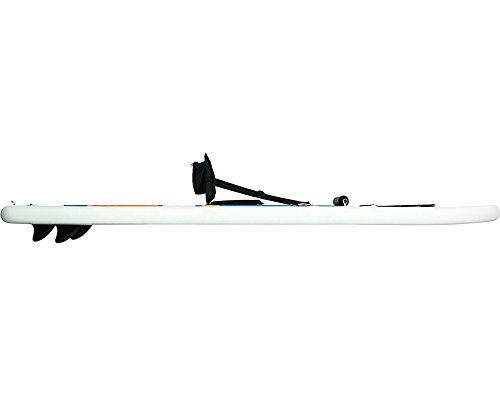 Some kayaks come with a sail mount to turn your kayak into a sailing paddle boat. This allows you to use the wind to move your kayak rather than paddling your way to your destination. This way you can save your energy on a longer trip. A sail also allows you to take a break, or organize your gear if you need to on the go. And you still won’t fall behind the rest of your group. 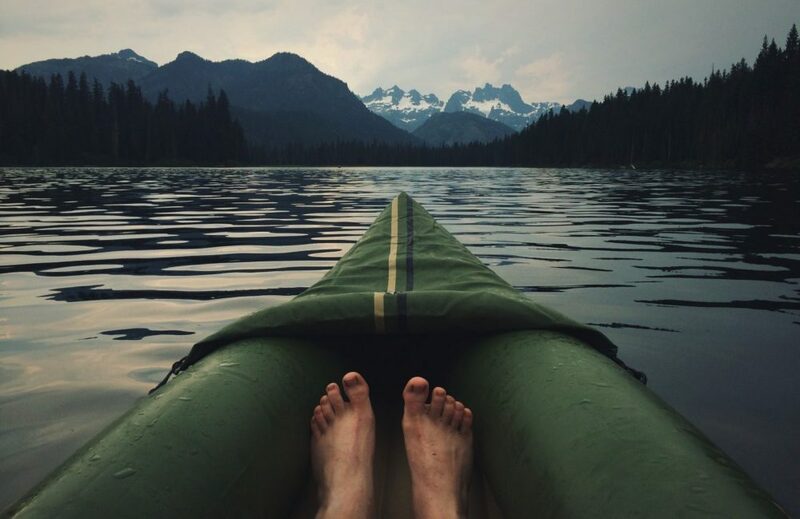 If you want to speed things up, you can paddle along with the wind. This can add a few extra miles to your journey. If you’re with a few friends, you can spend the day relaxing and catching up while you travel or just enjoy the scenery around you. You can even snap a few pictures of the view without worrying about losing your group. It doesn’t matter if you’re an expert swimmer or a beginner to water sports, a life jacket is a must. You never know when the weather will change, creating rougher water that could knock you over and out of your kayak. When the worst happens, you want to make sure your safety is taken care of. 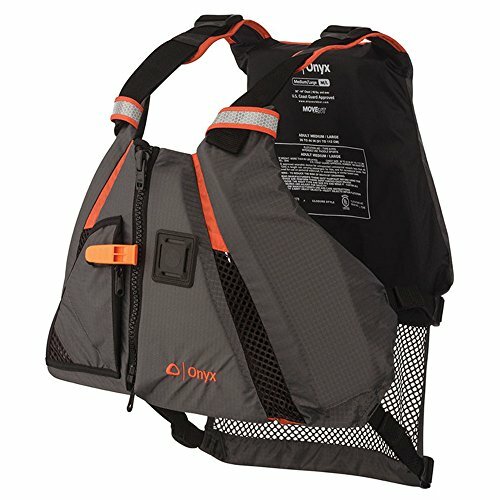 There are a few types of life jackets available, including some that are specific for kayakers. They fit snugly to reduce any interference when you’re paddling.Some of them even have a few pockets you can use to hold your smaller items, like your camera, phone, or even some snacks. Just make sure any electronics are put in a plastic bag to keep them safe if you should happen to go overboard. Some of them even have a few pockets you can use to hold your smaller items, like your camera, phone, or even some snacks. Just make sure any electronics are put in a plastic bag to keep them safe if you should happen to go overboard. Whether you’re bouncing your way through some rough whitewater rapids or get caught in a downpour, your gear is going to get wet. Even the most careful kayaker will have to deal with some water, so protection for your stuff is something you may want to consider. The best thing to use is a dry bag. These are completely waterproof, protecting everything inside from a thorough soaking. 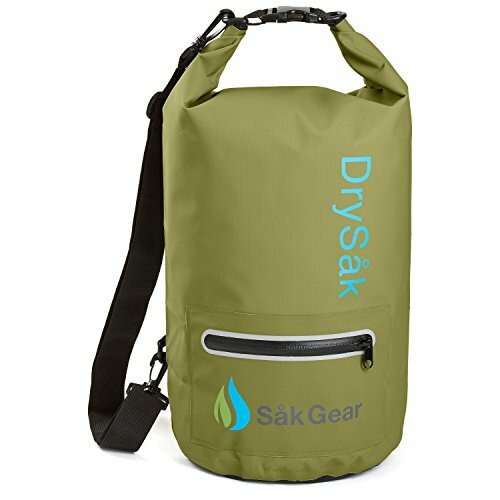 Dry bags come in a variety of shapes and sizes. Some are clear to make finding your smaller items easier. They even have a few pockets to hold the little things you’d like to keep close at hand, though these pockets may not be quite as secure. Kayaking is a fantastic way to get some exercise, enjoy the great outdoors, and have a wild adventure, all at the same time. And with the convenience of the best inflatable kayak at your fingertips, you’ll be able to explore new areas every single weekend. There is no downside to these types of kayaks. They are lightweight, portable, easy to use, and come with almost everything their hardshell cousins include. If you’re on a budget, there are a few cheap options to choose from. For solo trips, the Intex Challenger K1 is less than $100. If you plan on traveling with a buddy, the Intex Explorer K2 Inflatable Kayak costs less than $20 more for double the occupancy. Fishing is a great way to spend the day and bring back a healthy dinner in the process. To have the most room for your gear without sacrificing your comfort, try out the Hobie Mirage i9s. 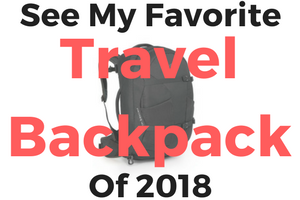 You can also read our guides to the best dry bag, the best waterproof gear bag, the best travel backpack and other recommended travel products here.